The wisest of all kings, beloved son of King David and his wife Bathsheba, builder of a prosperous empire, lover to many wives and concubines-King Solomon was once merely a son of David with no guarantee of ever taking the throne. On the cusp of adulthood, with no direction in life, Solomon found himself infatuated . . . in love with a lowly shepherdess, a young maiden chosen for his father to serve David in his later years. Overhead clouds ceased to discharge life-giving rain, and the anxious people looked to King David for relief from the famine. In their weakness they turned from Yahweh and sacrificed to foreign gods. But David's eldest son, Adonijah had a plan, one that could cost the Benjamites their lives. Revenge. Solomon was still Bathsheba's eldest son's and with it came certain family expectations. His mother wanted nothing less than the throne for her eldest living son. He must marry a princess first, and then he can marry any common woman he desired. Solomon struggled against family expectations and his chief rival, his own brother, Adonijah; he fought against the most disappointing aspect of his quest to become ruler, "Love is nothing, when pitted against strength and power." 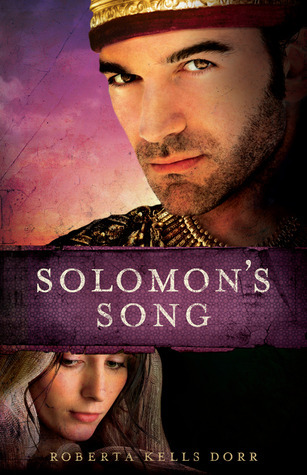 The Song of Solomon is a book of poetry in the Old Testament and is used as a basis for this biblical novel. The author creates a vivid image of a younger Solomon and brings his character to life as his father King David's life comes to a climatic end. The battle for power among the king's sons is set against a backdrop of civil unrest and famine. The people wish for King David to appease fertility gods by marrying a young and vital woman in hopes of bringing an end to the crippling drought. Enter Shulamite as this woman proposed for King David, but Solomon saw her first and they fall in love which sets off a chain of events featuring jealousy, betrayal that doesn't break through their pure love. Readers of the author's previous recent reissue David and Bathsheba will enjoy this next installment in the chronology of the bible, though sometimes the writing comes across as too matter of fact when it's supposed to be a love story. However, the total package soars above due to its unforgettable characters and important topics. **Really intriguing background to the unknown Shulamite lover can be found here.